The Sri Lankan government would not act “in haste” on the issue of setting up a special court on allegations of violations of human rights in the last stages of the civil war, President Maithiripala Sirisena said on Sunday. Answering questions on the status of implementation of a resolution adopted by the United Nations Human Rights Council in October on accountability, Mr. Sirisena, in an exclusive interview with The Hindu at his residence, replied in Sinhala that what should be done first was to “evaluate” what had happened [during the war]. Only after ascertaining the situation would “subsequent steps” become necessary. Calling for a gradual approach in the implementation, he alluded to the resolution and maintained that “we have not been ordered to do anything.” The government would do “whatever is necessary.” The implementation should be a “collective exercise,” he said, referring to the establishment of a body headed by former President Chandrika Bandaranaike Kumaratunga on reconciliation and another institution to go into complaints regarding alleged disappearances. As for the move to draft a new Constitution, the President pointed out that he would make a statement in Parliament on January 9, initiating the process. However, he clarified that only after a “comprehensive, organised and nationwide” debate among different sections such as constitutional experts and civil society organisations, would a decision be taken whether a fresh Constitution was needed or amendments to the existing Constitution were sufficient. The debate was expected to go on for a year. 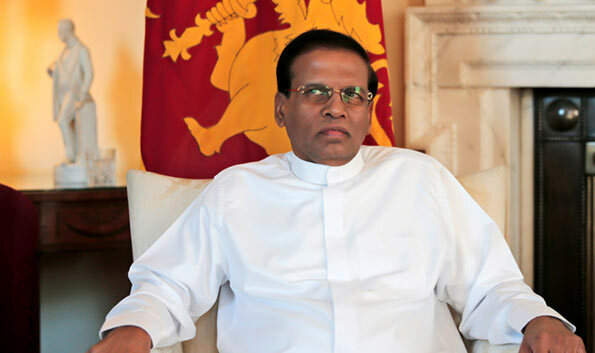 At the same time, Mr. Sirisena made it clear that he was firm on the abolition of executive presidency, one of his key promises during the 2015 January presidential elections. Asked whether the 13th Amendment, an outcome of the India-Sri Lanka agreement of 1987, would be retained in the event of having a new Constitution, he replied that this would be finalised at the conclusion of the debate.